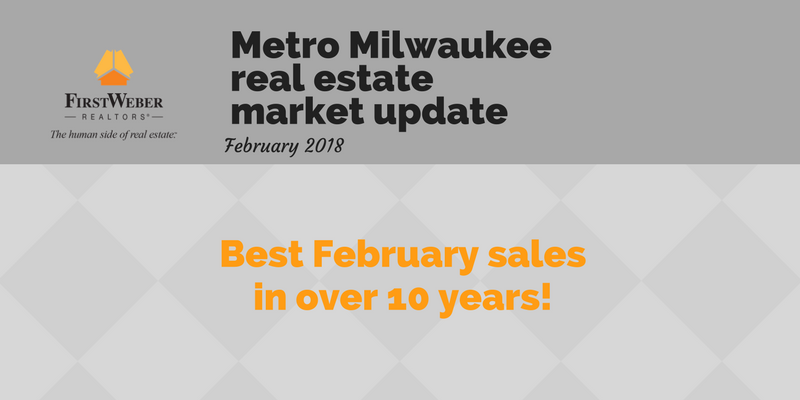 Metro Milwaukee real estate sales start 2018 with a bang – It was the best February for sales in more than 10 years! Days on market are now at 66 days, down 16% compared to last February. You can get 3 instant home valuations just by entering your address at FirstWeber.com. Then, contact your agent to talk it over for their opinion. Thanks for reading the First Weber Wisconsin real estate & Wisconsin living blog. Congratulations to our Award Winning 2017 Sales Associates in the Metro Milwaukee area!